Christin Kardos leads social media for Convince and Convert, an organization that teaches marketers how to be socially savvy. 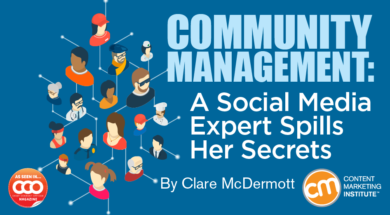 We wanted to know: How does the expert’s expert build and manage communities? I asked Christin for tips on how to think like a community builder. Here are her recommendations in her own words. 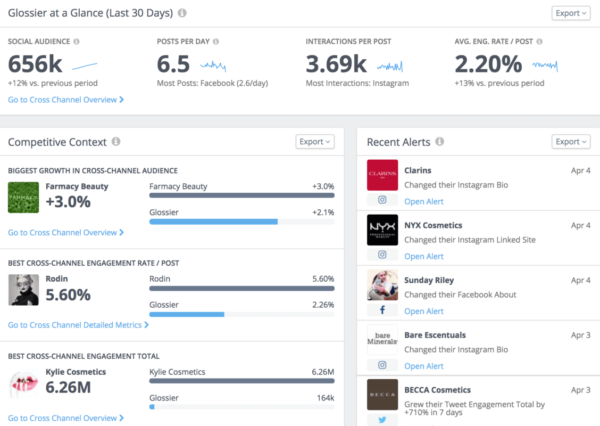 As marketers and businesspeople, we know social presents tremendous opportunities for business … but when it’s used only as a broadcast channel, you’re failing to make connections. If you’re not connecting with people, it’s just a bunch of noise. It’s not enough to say, “Here’s something we think is awesome that you’ll like.” You need to respond to comments, answer questions, and incorporate the idea of being useful in one-on-one conversations. If you’re not doing those things, you’re wasting your and others’ time. Social media really is for socializing. People have a misconception about what it means to be a marketing expert. For example, our president at Convince and Convert, Jay Baer, is a master and he knows a lot of things, but he’s always excited to check out new territory and try new tools. You’d be surprised at how much energy we put into trying new things at Convince and Convert. We don’t have it all sorted out. For example, right now we are working on a messenger bot for Jay’s page, hoping it can become a growth tool … so I’m doing a lot of research about bots and how we can apply them best. When I first started doing this for a living, I had a hard time turning things off. Over time I’ve gotten used to the idea that at some point you must sleep. If someone tweets at 2 a.m., they’re not going to get an answer. I want to do the best possible job I can, and my definition of that has evolved. Doing the best job doesn’t mean I have to stop and answer every tweet because then I lose traction on everything else that’s important. Christin shares her list of go-to tools for social analytics, internal communication, employee advocacy, and more. People underestimate the usefulness of Twitter and Facebook native analytics. These give us critical demographic information about our audience. We depend on Rival IQ to gather information about our audience ­– as well as other groups’ audiences. It’s our primary social analytics tool. We seldom get on the phone internally because we use a virtual office tool called Sococo. 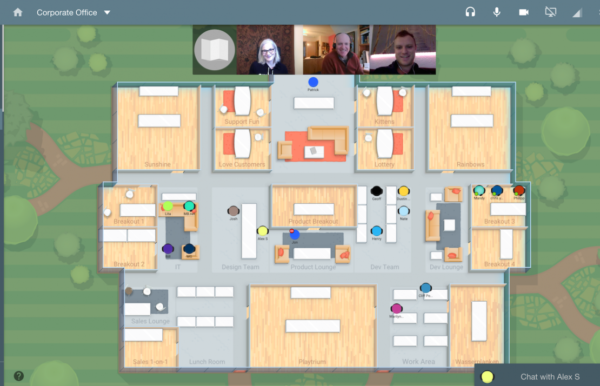 It imitates the informal collaboration in a physical office to a virtual office through a browser-based tool. See who’s at their desk, call a meeting, and invite people in to your “room.” If someone has a quick question, they can knock on your virtual door and chat via text. We love it because it incorporates texting, phone, and video conferencing. We use Sigstr to spread campaigns through employee emails. It lets us add a custom message or link to the bottom of our employees’ email signatures. Individual employees only have to install it once. If this week we are trying to promote sales for Content Marketing World, for example, I can go into Sigstr and add that promotion. It will auto-populate on everyone’s outgoing emails. 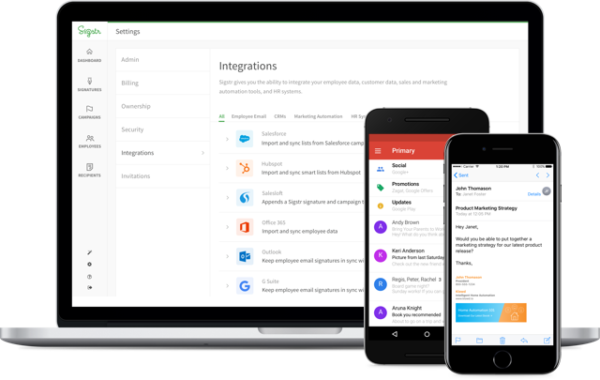 Plus, the tool has great functionality, such as setting up campaigns for emails sent among employees versus those sent to third parties. 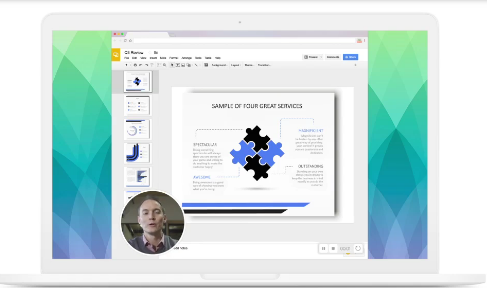 Vidyard offers a slick Chrome extension called Viewed It. You can do a screen capture that includes a bubble in the bottom corner showing your webcam feed. I can be showing a demo on my screen, but also recording a video of myself talking during the demo. Jay Baer uses it internally. If he wants to show us a new idea, he creates a five-minute video that records both his screen and himself at the same time. It has a wide range of applications. Whether you want to address a micro or a macro issue of content marketing, make plans today to attend Content Marketing World 2018. Registration is open. Sign up today.